Days of Taste® is a national discovery-based program of The American Institute of Wine & Food, modeled after a French program called "Journée de Gout," which also means "Days of Taste." Designed for fourth and fifth grade students to learn about food and how it weaves its way through daily life from farm to table, it has become a signature program of The AIWF. The first Days of Taste® took place in New York City in the fall of 1995, after evolving from many early AIWF initiatives examining issues of health, nutrition and feeding children, and collaborations with other organizations. 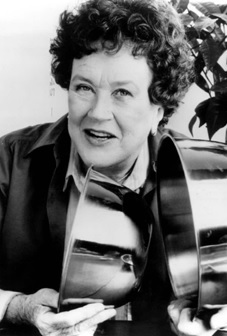 In 1990, AIWF co-founder Julia Child expressed her frustration with the way many Americans had learned to associate food and wine with guilt and fear. She called for an end to the misconceptions and declared that delicious food is not in opposition to healthful food. With funding from the National Dairy Board and the Dairy Council of California, and the help of chefs, dieticians, food and health writers, medical doctors, and cooking teachers, The AIWF began a coalition-building project called, "Resetting the American Table: Creating a New Alliance of Taste and Health." From these discussions, the taste and health communities produced a document, "Standards for Food and Diet Quality," featured in print media that reached an estimated 23 million individuals. The document incorporated five elements: nutrition; physical activity; food availability, quality and preparation; food safety; and education. For the first time, the importance of quality of life and pleasure at the table was associated with the achievement of better health—an accomplishment that has influenced the education of Americans about diet ever since. The ongoing dialog showed how Americans had begun to drift away from sharing meals with their families, so a renewed emphasis was directed towards the social aspects of mealtimes. This is especially important for children, said anthropologist Margaret MacKenzie, PhD, RN, one of the original members of the Taste and Health Alliance. "We’re squandering the opportunity to teach our kids the arts and graces of interacting with one another, of making pleasant conversation, of learning about (our) heritage." Another Taste and Health Alliance member, author Marion Cunningham, stressed the need to combat "culinary illiteracy" by teaching children to cook. The AIWF began another project with the Dairy Council of California called Making Meals Matter, providing tips and recipes on how to prepare simple, healthy, and tasteful meals, as well as how to make healthful choices when traveling or dining away from home. Julia Child put the accent on moderation, insisting there are no good foods or bad foods, but rather the day-to-day diet is what counts. "Balance and Moderation: Keys to a Quality Diet"
"Taste, Health and Guilt-Free Holidays"
The AIWF’s Tenth Conference on Gastronomy, held in 1993 in Washington, DC, highlighted the Smithsonian Institution’s Seeds of Change exhibit, which examined the history and provenance of the world’s foods. An extension of that exhibit was a vegetable garden that became a powerful classroom tool, teaching subjects from math to geography, social studies, science, and history. "Seeds of Change: Learning from the Garden" is now a curriculum for grades 3-8 published by the Smithsonian’s National Museum of Natural History. The curriculum lists The AIWF as a major source of help: "The American Institute of Wine & Food chapters across the country lead school children through an exploration of the elements of taste from the farm to the table, and exposes them to healthy attitudes about food." Also in 1993, The AIWF testified before the USDA on the importance of offering healthful food choices that appeal to children in the school lunch program. The dialog on Taste and Health continued. The NorCal chapter of The AIWF sponsored a dinner with the American Dietetic Association where a San Francisco chef, a nutritionist/cooking teacher, and a farmers’ market director all talked about the challenges of accommodating both taste and health concerns. In 1993 the "Sensory Sleuths" program was introduced, sponsored by the Washington State Apple Commission, taking children on an exploration of their sense of taste. "Kids Cooking Week" was a school-based campaign sponsored by The AIWF the same year. Many children’s culinary activities were coming together at this time; the many national programs and the priority on children’s education served as a springboard for ideas the AIWF chapters implemented in many different ways. The AIWF NorCal Chapter collaborated with The AIWF and the Discovery Museum on a successful program called "Can You Eat A Spring Roll in the Fall?" Many chapters threw harvest festivals that included food programs for children. Chapters implemented Sensory Sleuths and other children-focused tasting programs and worked with classrooms in their area. In 1994, the Eleventh AIWF Conference on Gastronomy was "Feeding our Future," held in Monterey, California. Renowned chef Alice Waters was the keynote speaker, revealing details of her Edible Schoolyard project. Participants shared and discovered different models for educating children about food and visited the verdant valleys and coastal farms. The AIWF New York Chapter conducted the first AIWF Days of Taste® program in the fall of 1995, based on a program designed earlier by the Comité du Goût, a New York City organization of French chefs. AIWF Chapter members Anna Herman, Julia Jordan, Dave Wagner and chefs Michael Lomonaco and Waldy Malouf collaborated with the Comité du Goût and the French Consulate to produce a much expanded program that included the New York City Greenmarkets, USDA Team Nutrition, and the New York City Elementary Schools. M. Shanken Communications was the major sponsor. The first Days of Taste® included the Sensory Sleuths program, and the curriculum still includes parts of it today. There’s also a field trip to a green market, hands-on salad making, and a visit to a restaurant. In addition, the AIWF’s association with the USDA led to the inclusion of activities and information from the USDA Team Nutrition and the USDA’s Food Guide Pyramid in the Days of Taste® curriculum. The AIWF New York Chapter championed the promotion of Days of Taste® to all AIWF chapters around the country, as a program that was easily implemented and particularly suited to creative interpretation within the scope of the curriculum. Today, virtually all chapters of The AIWF conduct their own versions of Days of Taste® each year. One year, the AIWF Rhode Island Chapter conducted Days of Taste® in almost every school in the state. Collectively, AIWF chapters reach thousands of school kids each year through Days of Taste®, and The AIWF is proud to call Days of Taste® its signature children’s educational program.